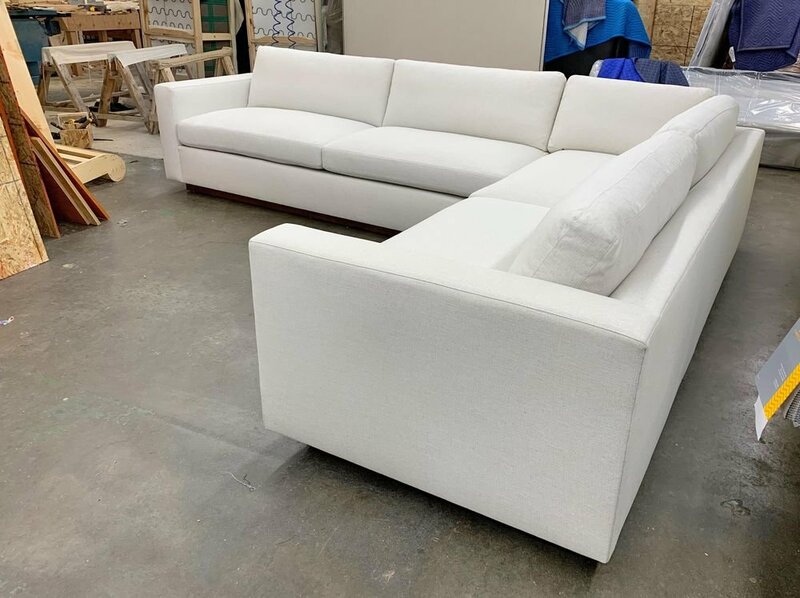 Restoration Hardware inspired, Aaron sectional combines 1930's Deco frame, Transitional slope arms, modern extra wide cushions, and modernized top-stitched slipcover to create its unique casual contemporary look. From cottage to loft, it will enhance a variety of interiors with its understated yet grand silhouette. 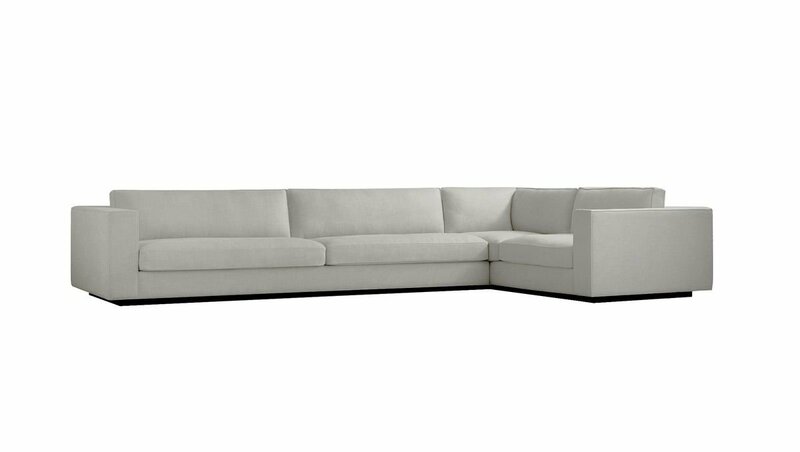 Aaron can be ordered in custom size, as a sleeper, as a sectional in twenty four different configurations, choice of seat cushion fill and firmness, leg style, and fabric. Please submit Request Custom Quote Form for custom pricing and special requests. 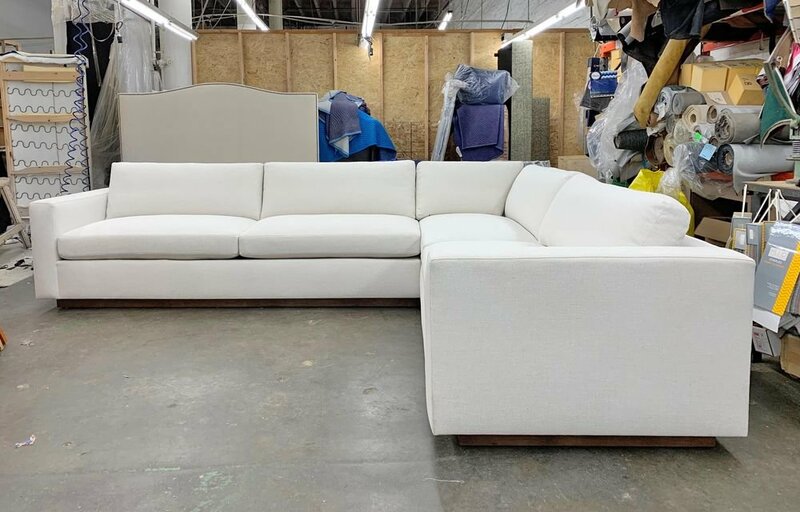 If you have a difficult area to design for, want to go COM, or just want an exclusive, different design, please, call Customer Service (214) 984-4128.